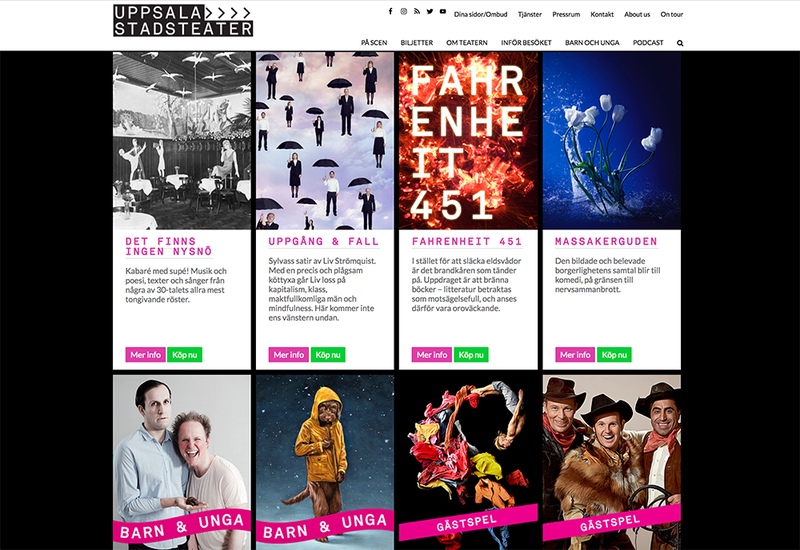 Uppsala Stadsteater wanted to redesign their website in order to match it with their current graphic profile. 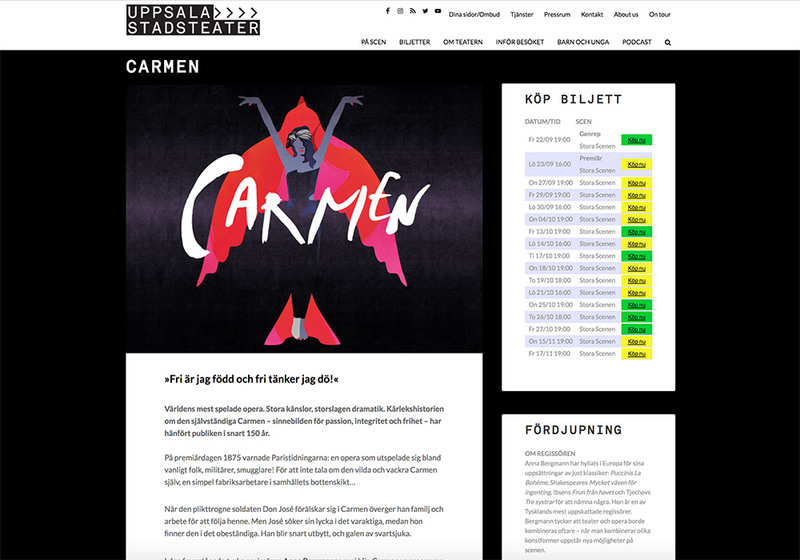 The project focused heavily on UX design and site structure in order to cater to the theater's wide target group. The previous platform was a mix of different solutions which led us to rebuild the site from the ground up in Wordpress, in order to more easily integrate the site with their ticketing system, Transticket. This would not only make ticket purchases more enjoyable to visitors, but easier for the internal communication team to administer the ticketing process.